Late last week I put my back out and have not been able to do much, thus the gap in blog posts. I’m almost back to normal now, so will be resuming transmission and getting up a bit of a backlog of pieces and finishing half-done bits and pieces next week. 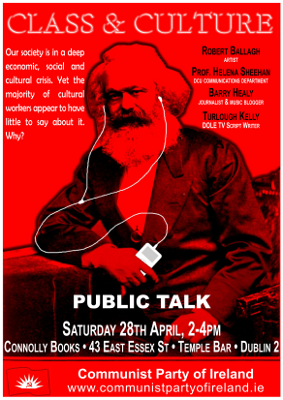 In several previous posts I’ve noted that much of the Irish left favour some kind of left-Keynesian ‘solutions’ to the crisis, even groups that would identify as Marxist. In addition, the most progressive union, the Independent Workers Union, while identifying the long-term need for anti-capitalist politics, simultaneously advances the idea that in the short-term Keynesian pump-priming can improve things for workers. I’ve promised to put up stuff explaining that this is simply not the case – indeed, Keynesian pump-priming would have the absolute opposite effect at present. My long piece on how capitalism works and why, ultimately, it doesn’t, provides some refutation of the idea that there is an ‘alternative’ set of capitalist policies in a crisis that can improve things for workers. Also Tony Norfield’s piece about Keynesian delusions is very useful. 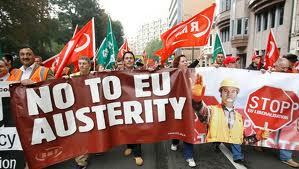 Additionally, today I discovered a really good video presentation (see bottom of this article) on why austerity policies are not some kind of mad, ideological path taken by capitalists but are actually implemented by capitalist governments and employers for the completely rational reason that they are the way out of the crisis, at least initially, from the standpoint of the interests of capital. 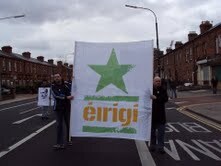 Wednesday, 2 May 2012, 7:30 p.m.
éirígí Dublin City Councillor Louise Minihan has slammed the Dublin government’s decision to establish the ‘Irish Water’ utility company as the first step on the road to full privatisation of water services across the state. 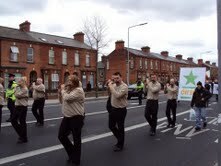 Speaking from Ballyfermot Cllr Minihan said, “Clean water is an essential requirement for all human life. Access to adequate supplies of such water should be considered a fundamental human right which cannot be sacrificed to satisfy the greed-driven ideology of the IMF and EU. Roll up, roll up! The great sale of state assets is upon us. It was hardly a surprise when news broke in February that The Dublin Government intendeds selling off numerous state assets. 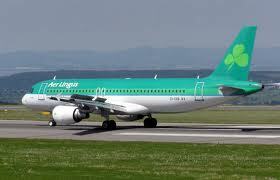 Their plans will see parts of Bord Gáis Éireann’s and the ESB sold off, followed by the sale of Coillte and the remaining 25 per cent stake in Aer Lingus when ‘market conditions are favourable’ for an ‘acceptable price’. 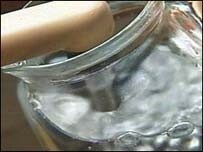 They claim the money will be used to write down debts and invest in job-stimulus programmes. 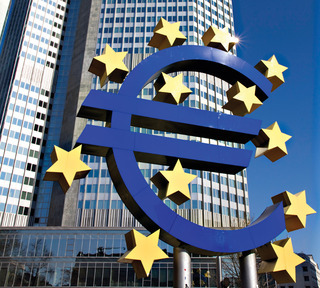 The €3 billion expected return from the sale, however, will hardly put a dent in what has become a colossal debt. Nor has it to do with, or will it help stimulate the economy but rather privatisation will lead to job losses, increased prices, worsening service for consumers and big profits for those who purchase them. After all why would investors invest if not for a profit? Of course the ‘jobs’ angle is being used to soften up what is essentially the continuation of the failed neoliberal agenda which fuelled capitalism’s latest crisis. For some time, I’ve been interested in the idea of research into the Irish economy – by which I mean the economies of both statelets and of the island as a whole. There are only a few people on the left doing this and while valuable work has been produced, there are a couple of problems too. i. These days it’s very hard for any individual, especially given the demands on all our time, to do the kind of work that is needed. Even if someone devotes their time to researching the Irish economy/ies, as opposed to other fields of activity, it’s still very difficult to do all the work individually. 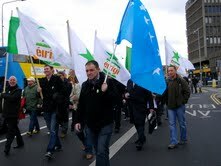 Here are some pictures of the main Dublin Easter commemoration organised by éirígí. 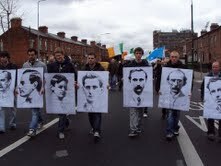 The pictures are by Mick Healy and Bas O Curraoin; thanks to Mick for sending on a whole heap of pics. 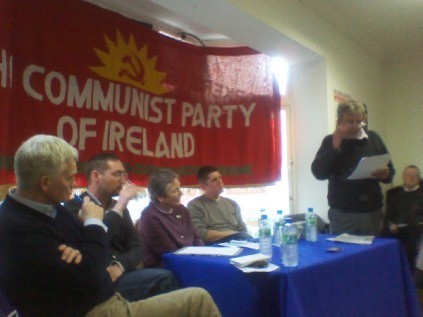 Over on Citizen Partridge, there’s a brief report of the CPI-organised meeting on republicanism in the 21st century at the weekend. See: here. Citizen Partridge made an audio recording which can be downloaded too. The CPI made a video, so hopefully that will go up on their site.